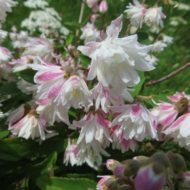 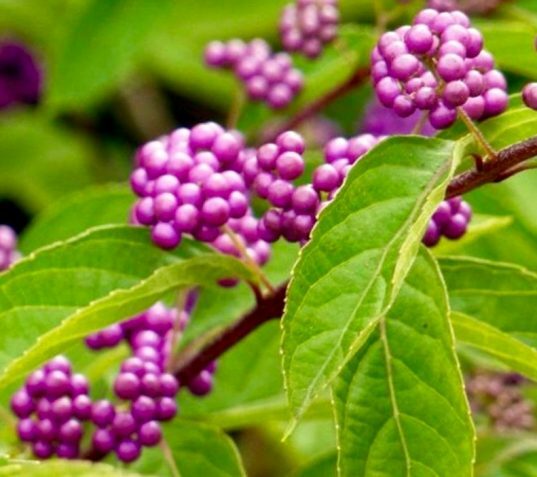 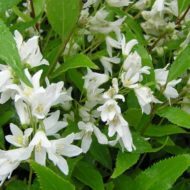 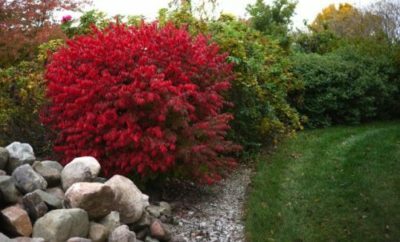 This hardy, deciduous shrub has green foliage, lilac flowers June though August, and glossy violet fruits which ripen in September and display through October. 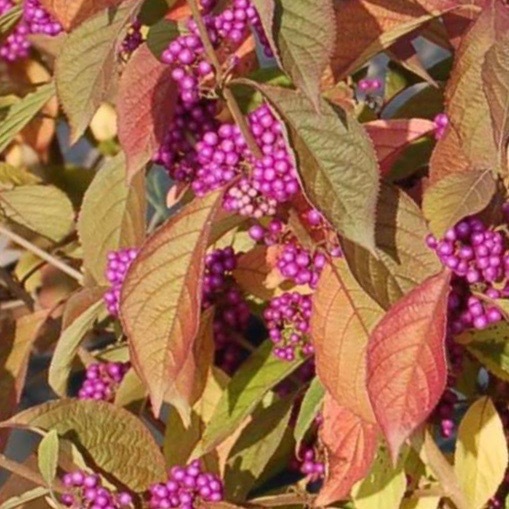 Typically grows 10 ft tall and 8 ft wide, but can grow as tall as 10 ft. 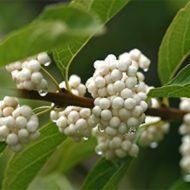 While the Beauty Berry can adapt to many soil conditions, best flowering and fruiting results occur in full sun. 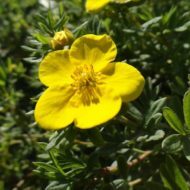 Great for borders, mass planting or specimen.